The following articles appeared in the print edition of INFECTIOUS DISEASES IN CHILDREN. 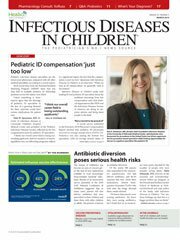 What is the value of the pediatric ID specialty? Q&A: Should pediatricians suggest probiotics to reduce abdominal pain?